There is a whole lot of truth toward lasting first impressions because sometimes our smiles are enough to create an impact on people since our smiles are priceless gifts that we can give to anyone we meet. Brushing and gargling may be enough for a number of us but some of us may need a little dental magic to achieve a more beautiful smile that will highlight our beautiful individuality. Like makeup, Cosmetic Dentistry is a permanent way for people to secure better dental aesthetics that will give them that needed boost of self-confidence so they can do more and achieve more with their renewed smile and look. 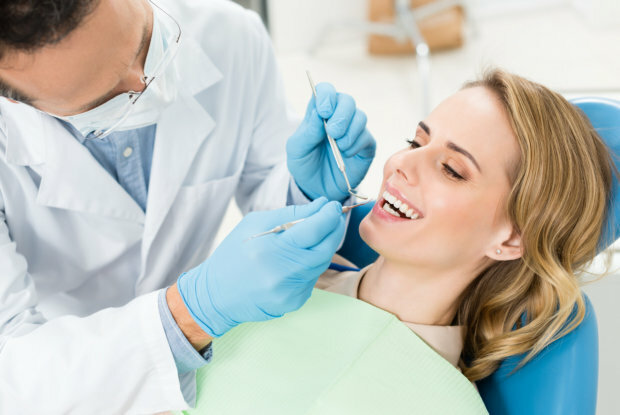 The beauty about Preventive Dental Care in Lincoln, CA is that it will not only make your teeth look good and healthy, it will also help you have a better bite and improved dental care so you can preserve the performance of your teeth for a much longer time. If you have missing teeth and/or gap teeth, our cosmetic dentistry will easily give you a more defined look for them so you can enjoy a full set of teeth that will make eating a lot more enjoyable. A cracked, discolored, and decayed tooth can be restored so it can look a lot like your natural teeth again. Once your tooth has been swatched for its color, constructing your tooth can be well on its way with the use of porcelain veneers or with dental crowns that will greatly add to your overall dental strength and structure. If you are concerned with discoloration or stained, yellow teeth, you can have your teeth professionally whitened by us to give it a more attractive sparkle for every time you smile. You can also have your teeth straightened with our invisalign teeth straightening option as an alternative to braces that will still help you achieve straight teeth. Whatever your dental need may be, we can offer you a variety of dental solutions that will help you get better opportunities in life, to even as simple as enjoying the food you eat. At Tooth Spa Dentistry, we make smiles more bright and beautiful. To set your appointment with us, contact 916-209-3708 or leave us a message here. This entry was posted in Dental Care and tagged better dental aesthetics, dental solutions, improved dental care, making smiles brighter. Bookmark the permalink.